The God’s Own Country, Kerala remains the most beautiful gem of South India. 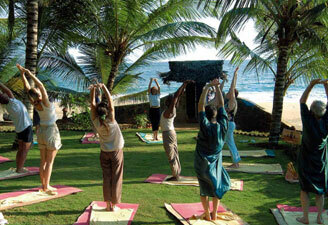 Taking Kerala nature tour promises you seamless mental peace and rejuvenation. Kerala is one state where you can find a rich mix of art forms, hill stations, ayurveda and not to forget the exciting boat races. Our Kerala nature tour package promises you all these and a lot more. Kerala tour packages also remain popular among honeymooners as the state has beautiful sojourns to escape crowds. We offer a range of Kerala India tour packages to help you explore the best facades of this South Indian state. Enjoy the best Kerala tourist attractions, Kerala backwaters, Kerala wildlife and Kerala hill stations with us. We have Kerala nature holidays in all budgets along with extensive itineraries for your understanding. Our travel agents understand Kerala eco tourism well and contrive the best Kerala India tour. On arrival at the Airport/Railway Station in Cochin, you will be met and transferred to Nadukani. Check in at hotel for overnight stay. After an early morning breakfast, proceed for a half day sight seeing tours. Spend the rest of the day at leisure trekking around the estate. Overnight stay at Nadukani. After an early morning breakfast, check out from the Resort & embark on a fascinating journey to Thekkady enjoying the stunning panoramic view of the Cardamom hills & green carpets of tea plantations enroute. On arrival, check in at Resort. Go on an evening game viewing cruise on the Periyar Lake. Here you will be able to see a large variety of wildlife, which include elephants, monkeys, deer, wild boar etc, and quite a lot of unique birds can also be spotted. Later, come back to the hotel; relax & enjoy your stay overnight. Overnight stay at Thekkady. After breakfast, proceed for a tribal village, Spice plantation & Tea factory visit, a visit to the Spice Plantation will be fragrant enough to amaze you. In the evening your schedule includes a visit to spice market. overnight stay at the Resort. After morning breakfast, proceed to Vagamon Hills. This place has an abode of peace and tranquility amid pristine surroundings, nestling in a sweep of verdant hills, sparkling streams, lush green meadows, gigantic pine trees, cardamom plantations and tea estates, Vagamon hideout is a place where you could see the co-existence of the man and animals. It's air as pure as it can be, the numerous waterfalls in its azure colors - ringing a melodious sound into ones ear. Spend the rest of the day at leisure trekking around the estate. Overnight stay at resorts. Rise up early for a rejuvenating ayurvedic massage (head massage for ladies) or yoga and meditation. Breakfast will be served at the restaurant. Explore the property on your own. Lunch at the restaurant. Evening free at leisure. Overnight at the resort. After breakfast proceed to Alleppey. Checkin to the waiting houseboat. Enroute you can see many romantic beauty of the nature which will remind you that you are in the "God's Own Country". You can view coconut palm fringed canals and local people going for a fresh catch of the day & Tapping of toddy (Local beverages) from palm trees. Rest of the day at leisure. Overnight stay at the houseboat. Depart as per schedule to Cochin Railway Station/Airport for your onward journey. Tour ends.